The towing and load-bearing capacity of the F150 differs between models, years and upgrades. In this article, I will present a few of the load bearing and towing capacities of select OEM models, since calculating or estimating the variances in the additional load bearing and towing capacities of upgraded F150 is anything above the OEM standard. F-150 with the 2.7-liter EcoBoost V6 engine delivers 325 horsepower and 375 pound-feet of torque, this model tows up to 8,500 pounds and hauls up to 2,210 pounds. F-150 with the 3.5-liter Ti-VCT V6 engine delivers 282 horsepower and 253 pound-feet of torque, this model tows up to 7,600 pounds and hauls up to 1,910 pounds. F-150 with the 5.0-liter Ti-VCT V8 engine delivers 385 horsepower and 387 pound-feet of torque, this model tows up to 10,100 pounds and hauls up to 3,270 pounds. 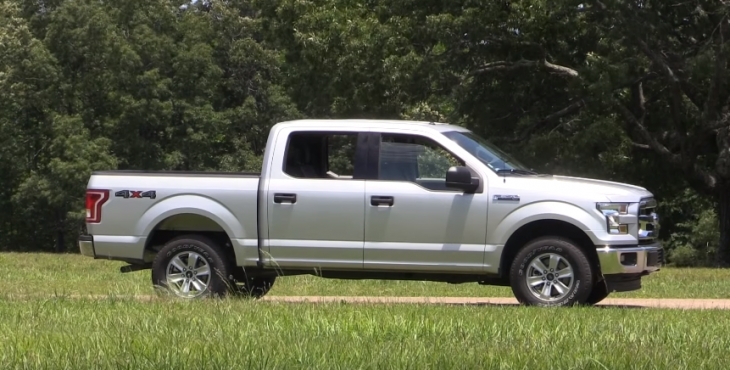 F-150 with the 3.5-liter EcoBoost V6 engine delivers 375 horsepower and 470 pound-feet of torque, this model tows up to 12,200 pounds and hauls up to 3,220 pounds. 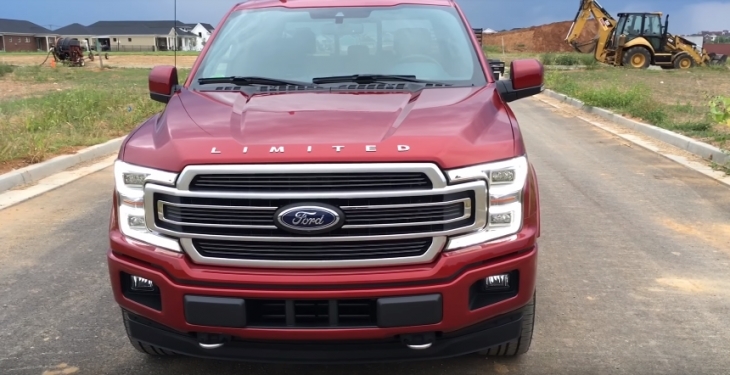 The 2018 Ford F-150 comes with seven trim levels, they have four engines options, with three cabin sizes, and three-box lengths to choose from. As such, the load and towing models are in a matrix of configurations. 5 ½-foot box provides 52.8 cubic feet of volume. 6 ½-foot box provides 62.3 cubic feet of volume. The 8-foot box provides 77.4 cubic feet of volume. 2.7L EcoBoost® V6 Regular Cab 141” wheelbase provides you with 8,500 pounds towing capacity, and a payload capacity of 2,470 pounds. 3.0L Power Stroke® Turbo Diesel V6 provides you with 11,400 lbs., pounds towing capacity, and a payload capacity of 2,020 lbs. 3.3L Ti-VCT V6 engine with 141” wheelbase provides a towing capacity of 7,700 pounds and a payload capacity of 1,950 pounds. 3.5L EcoBoost® V6 engine with 141” wheelbase and 18” wheels provide a towing capacity of 12,100 pounds and a payload capacity of 3,230 pounds. 5.0L V8 engine with 141” wheelbase and 18” wheels provide a towing capacity of 11,100 pounds and have a payload capacity of 3,270 pounds. Aftermarket upgrades will improve on the OEM performance, and as such, the load bearing and towing capacities can increase by around 10% more than the stock performance. The aftermarket upgrades needed to increase towing power are a performance cold airflow intake filter, connected to a performance exhaust and a tuner. With only these three replacements, the towing performance is upgraded by 10%, you can make further changes, but consider the maximum towing and load-bearing capacity as set by the manufacturer. If you make serious upgrades that enable you to go beyond the maximum performance levels as stated by the manufacturer, you are in danger of overtaxing the balance of the vehicle based on its frame width. 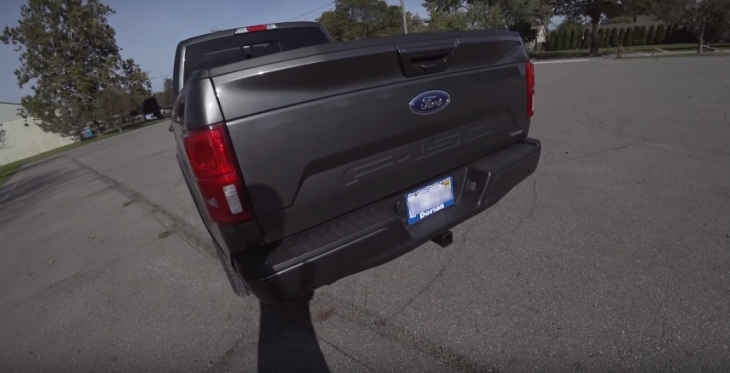 Just for a point of reference, here are the F150 towing guides from Ford.